Christmas is almost upon us (yay!) and if you are anything like me, one of the joys of Christmas is tracking down just the right gifts for my loved ones. One of the reasons I’m so excited to be visiting Europe right now is the fact that I will get to do much of my Christmas shopping here. (As an aside, yes, we’ve made it safely to the other side of the world and we are having a wonderful time already – the pics will start coming soon). Personally, I find fellow francophiles incredibly easy to buy for…but I know not everyone finds it so simple. 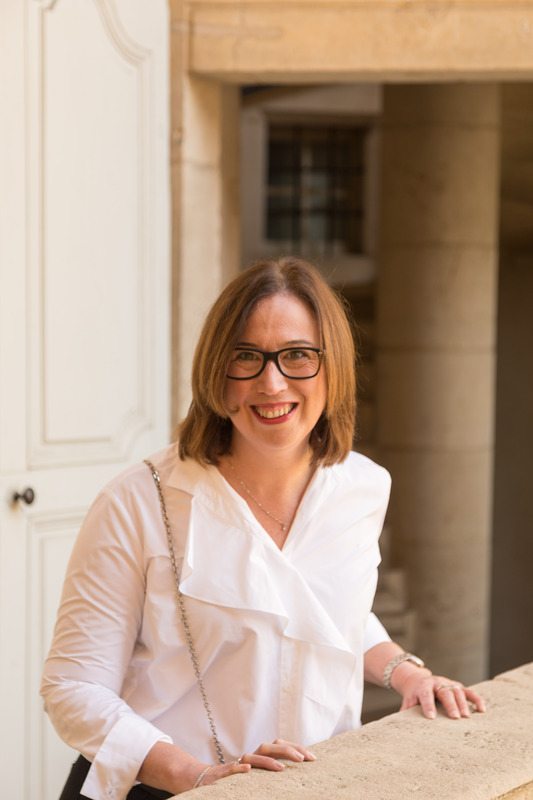 To help you find the perfect gift for your favourite francophile, I’ve popped together another list of gift ideas for francophiles. I hope you find it super helpful! A voucher from a boutique that stocks French lingerie. Every girl likes to spoil herself. A shopping trip where the two of you pick out and you buy her perfect red lipstick. Or if you know she already has a favourite shade pick it up for her. A fresh tube will always be appreciated. A scarf in a block colour that suits your lucky gift recipient. Make sure the scarf has a bit of length about it…I go into the reasons this is important here. A pair of French linen pillow slips. Delicious! A French themed calendar I have a friend who gifts me a calendar every year and every year I just adore it. Le Crueset cookware. A cast iron casserole remains on my own wish list, but any of the colourful cookware will work. You could even pick up a coffee mug or an egg cup as a stocking filler or Kris Kringle gift. Opinel knives. Beautifully made, these French knives make easy work of slicing and dicing. French linen tea towels. A must in any kitchen. French herbs and spices, if you can track them down. A Longchamp Le Pliage bag. The stylish shape and the fact that they fold up make these well known bags very handy for anyone on the road. Maps, guide books and the like. Things change and there is always something new for even the most seasoned traveller to learn. A one-on-one session (or sessions) with a tutor. It’s amazing how quickly French language skills can progress with a little individual attention. French flash cards. Handy for every age and stage. Nothing leaping out at you on this list? Then don’t forget check out our original list of gift ideas for francophiles here. 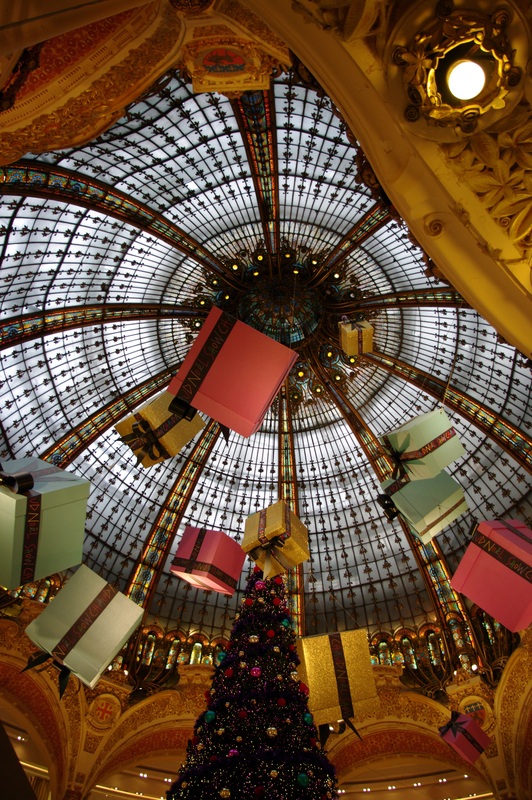 Do you have any go to gift ideas for francophiles? If so, please help us all out by sharing them in the comments below. Please note – This is an unsolicited post and no compensation of any kind has been received from the brands named in this post. Janelle…..love the gift list…..and we too will be in Paris on the 18th….where can I get the French flash cards? Shakespeare and Co? or Gibert Jeune? Hope you are having the best time…..any thoughts on the perfect red lippie? I have pale skin and can never find one. My husband and I had planned to spend this Christmas in Paris, but life (and surgery on his bad back) intervened and alas, we’ll be spending Christmas here in Arizona. Your wonderful newsletters always help bring Paris home to me, and this shopping list is a big part of that. I treated myself to a Longchamp cross body hobo bag in anticipation of our trip, and now as I carry it, I’m reminded just how deep my love of all things French run. Thank you for bringing Paris to me! Merry Christmas! Lori, thank you so much for your comment. I’m so glad you are enjoying Distant Francophile. I do hope your husband is feeling better now and I’m sure the two of you will get an opportunity to travel into the future. You’ll get to enjoy your bag in Paris yet!! In the meantime, keep doing all the little things you can to bring Paris into your everyday life and I’ll keep looking for ways to bring Paris to you. The perfect Christmas gift for your favorite Francophile is a wonderful spring week in Provence staying in a home in a medieval village, visiting wineries, local markets, historical sites, the sea and charming towns and villages along with 5 cooking classes. A complete immersion where you and your partner are the only guests and all housing, transportation, and 99% of all meals, tolls and your own private guide are included in the total fee. One spot left in late APRIL . http://www.livininprovence.com for the most perfect gift!!! You’ve made me smile Karen. Yes, that would be an excellent gift wouldn’t it? Particularly if you’ve not visited France too often and you love to cook!!! That looks like the Galeries Lafayette. What a fun shopping experience! I broke a pair of clogs in Prague and needed something comfortable to walk around Paris. This store was awesome! I quickly found replacement. So beautiful and stylish. You are right Lana – this shot was taken at Galeries Lafayette a couple of years ago. I can’t wait to get to Paris later this week to see their latest tree and to do a little Christmas shopping. Thanks so much for the tip Toni. I just had a quick look on Amazon and think I might buy the kindle version as a little present for myself.